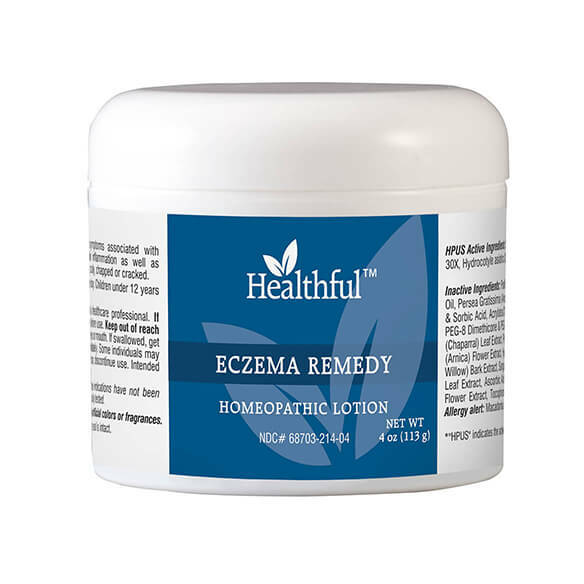 Healthful™ Eczema Remedy rescues your skin from eczema pain and itching. 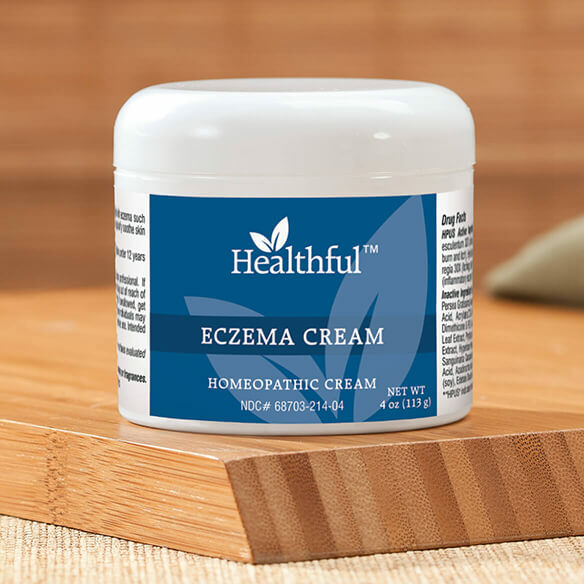 Soothing homeopathic eczema cream helps temporarily relieve red, burning, inflamed skin as it supports healing, without interfering with other medications. In addition to its powerful, dermatitis-treating active ingredients, it promotes soft, healthy skin. 4 oz. tub is a great value! Eczema treatment not tested on animals and contains no parabens, petroleum, or artificial colors or fragrances.